Ground Up’s latest Chevelle restoration project is a well-deserved happy ending for this rare example that had been subjected to a very rough life. 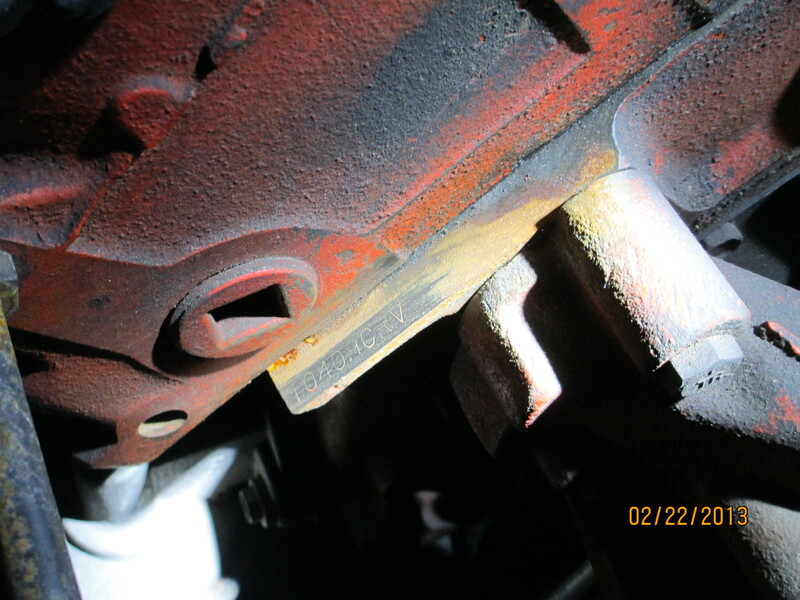 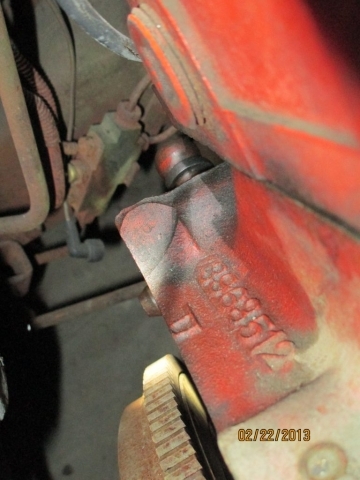 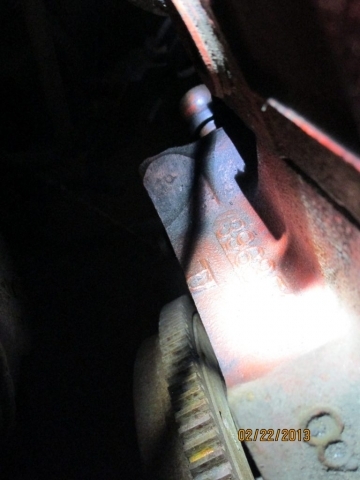 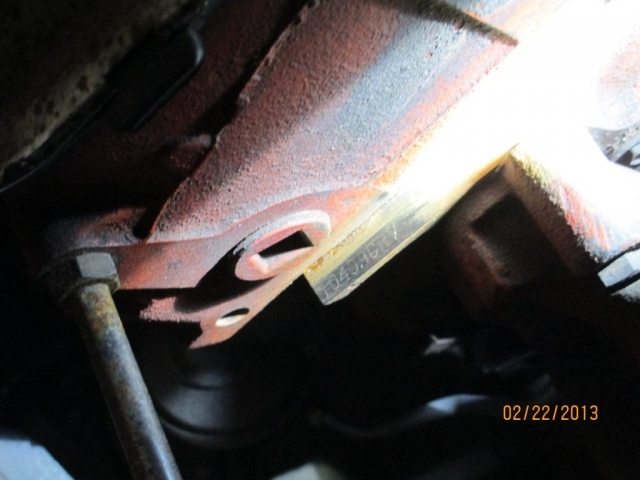 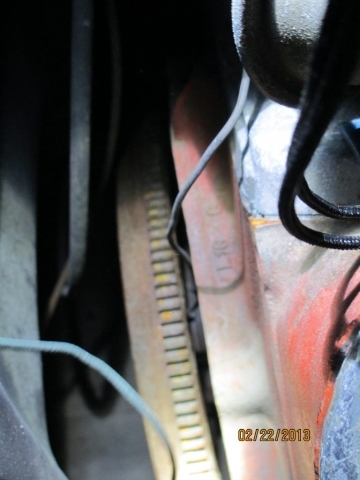 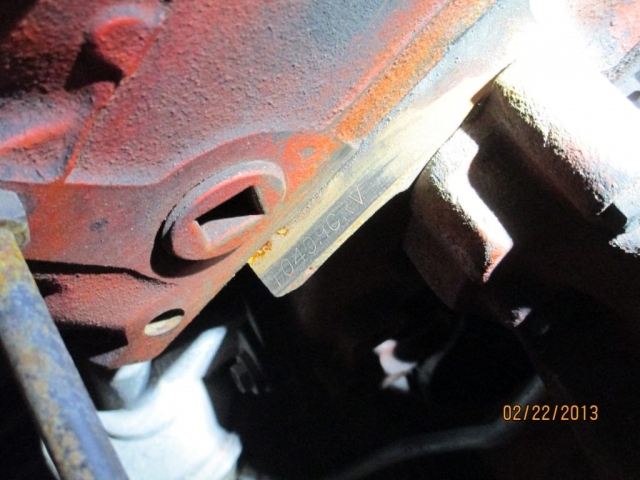 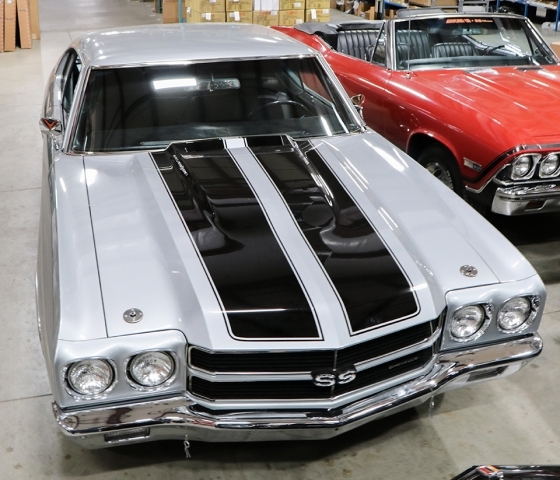 Thankfully, many of the previous owners were able to connect with one another and piece together the puzzle that was this LS6 Chevelle’s journey. 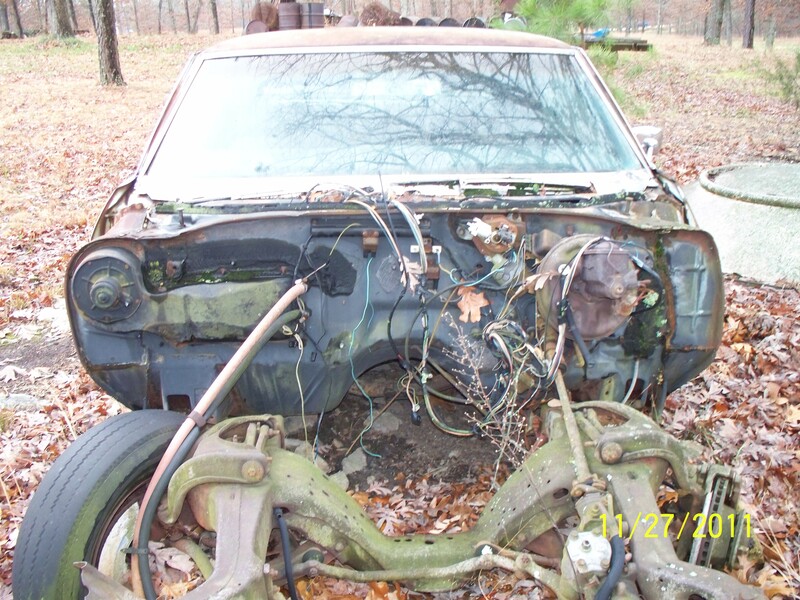 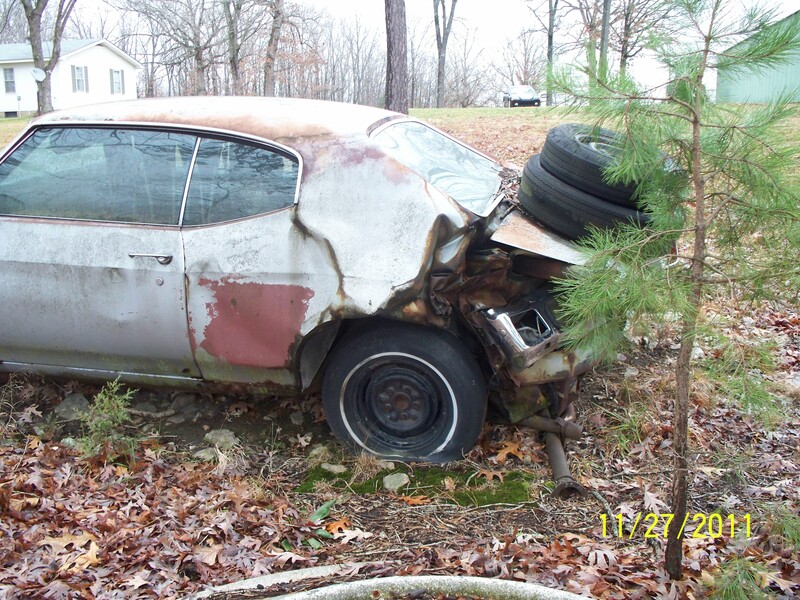 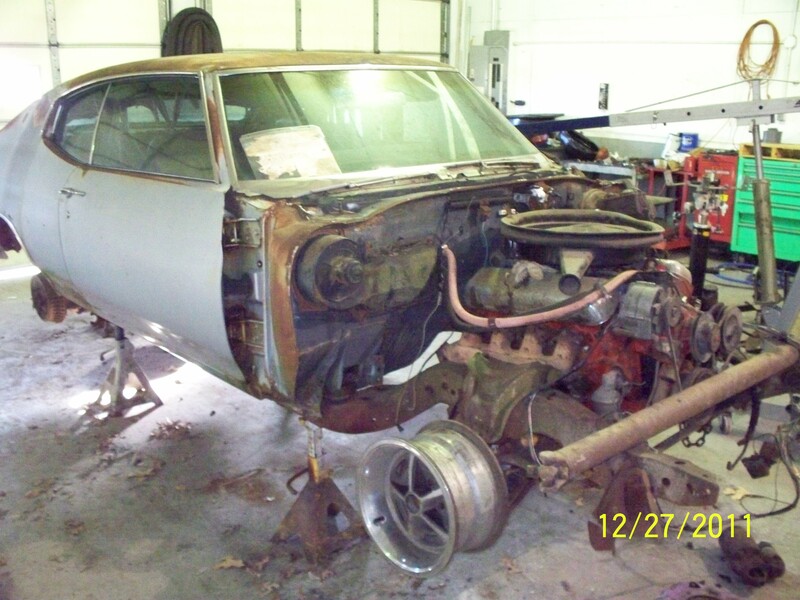 The story of this 1970 Chevelle SS 454 LS6 begins in 1977, when it was rear ended by a drunk driver on the morning of Friday, April 13th, in the owner’s driveway. 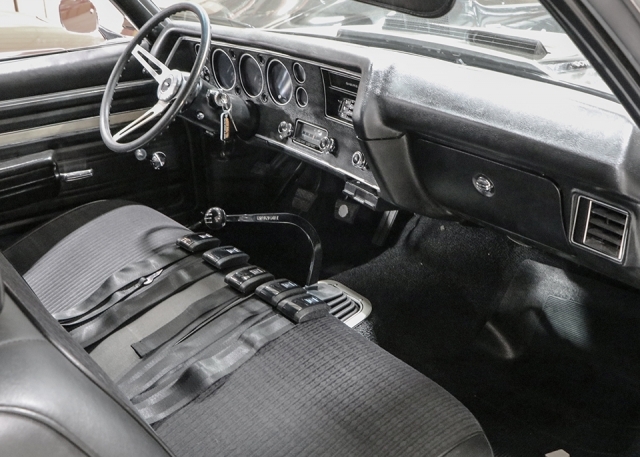 After the insurance process, the original steering wheel was removed and given to the owner’s brother to use in his Chevy van, and the Chevelle changed hands shortly afterwards in the fall of 1977. 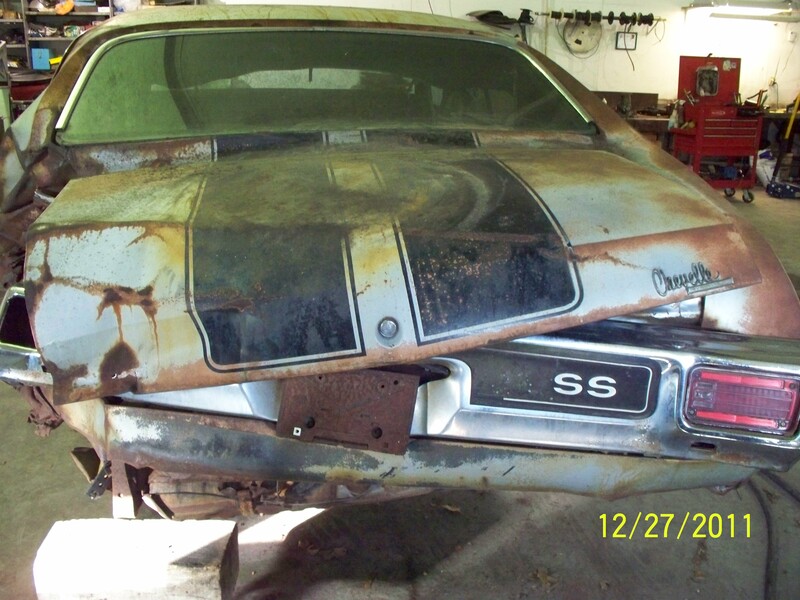 This owner would keep this rare beast over the course of the next 34 years, in varying states of disassembly. 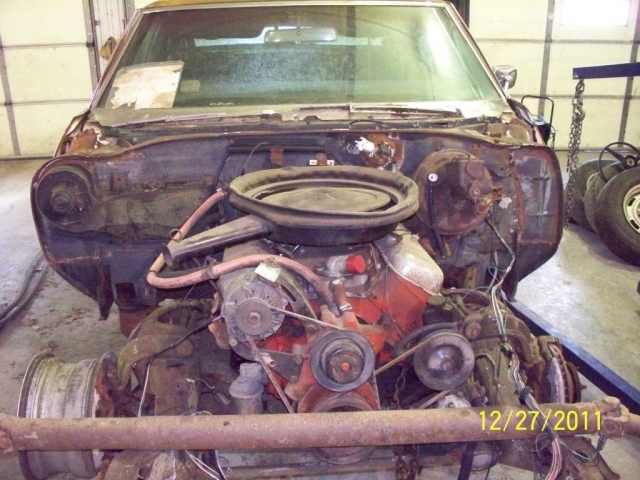 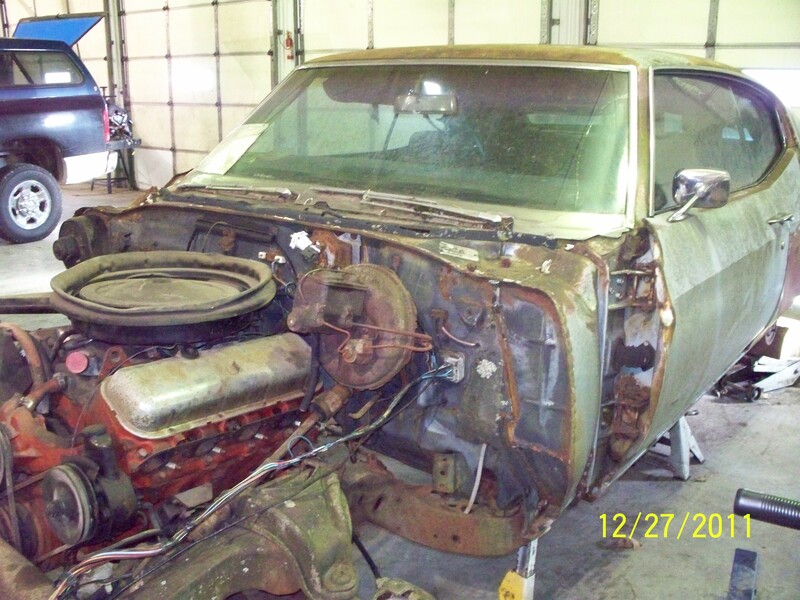 In 1979, the original M22 transmission was sold and the front clip was scrapped for junk, while the mighty LS6 had been transplanted into his father’s 1970 Chevelle SS 454 LS5. 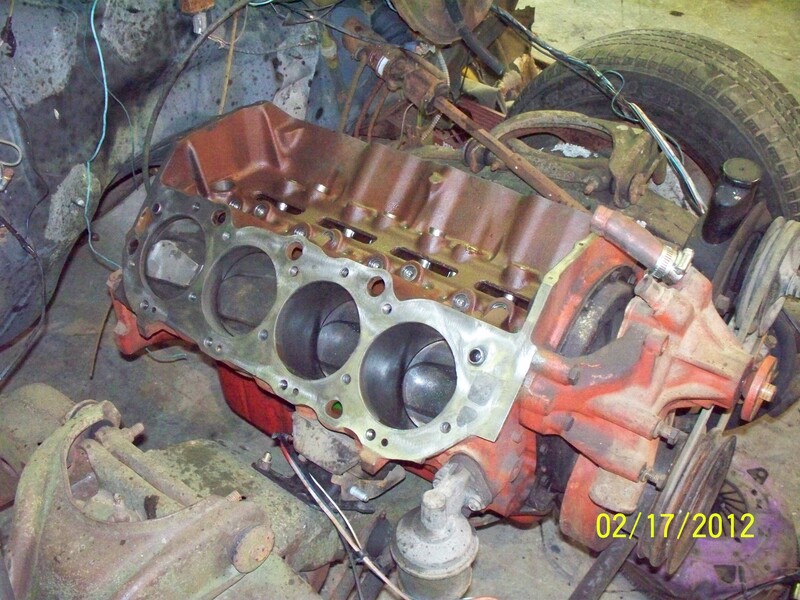 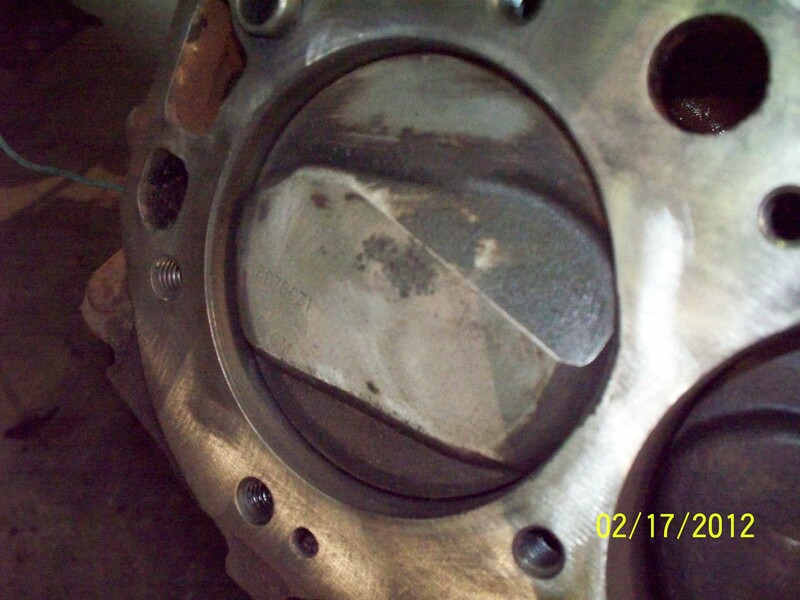 Over the years, this motor found its way into several different vehicles, including a Nova bracket racer project car. However, the body would remain exposed to the elements in his back yard for all that time, slowly being claimed by nature. 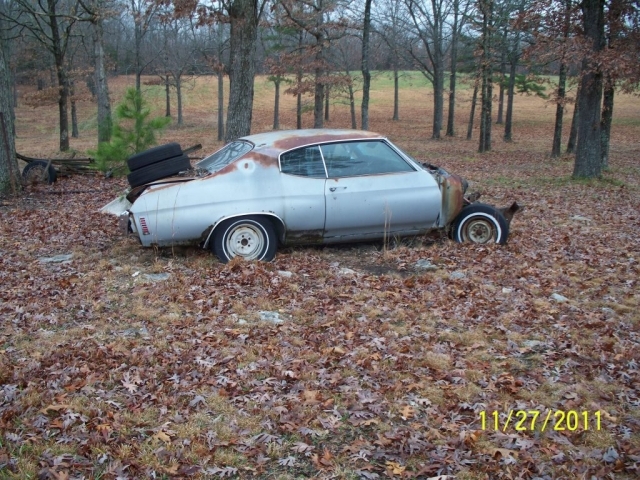 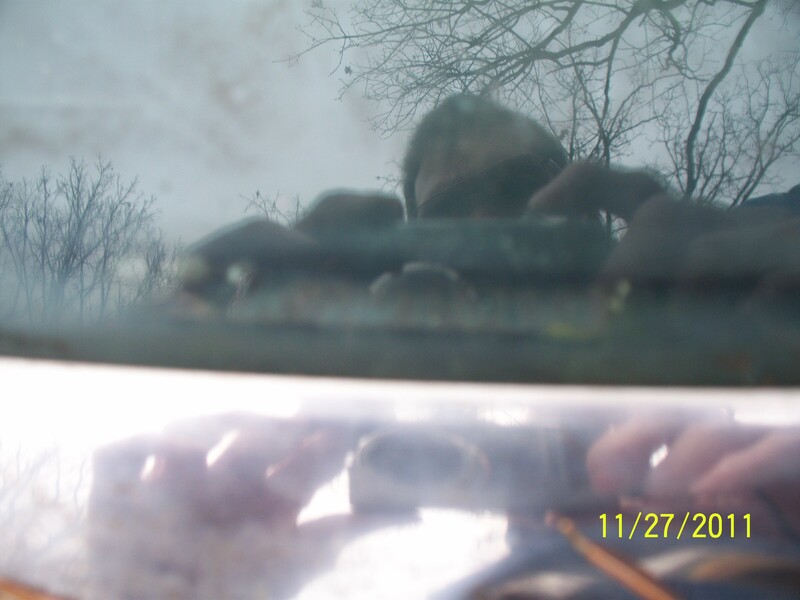 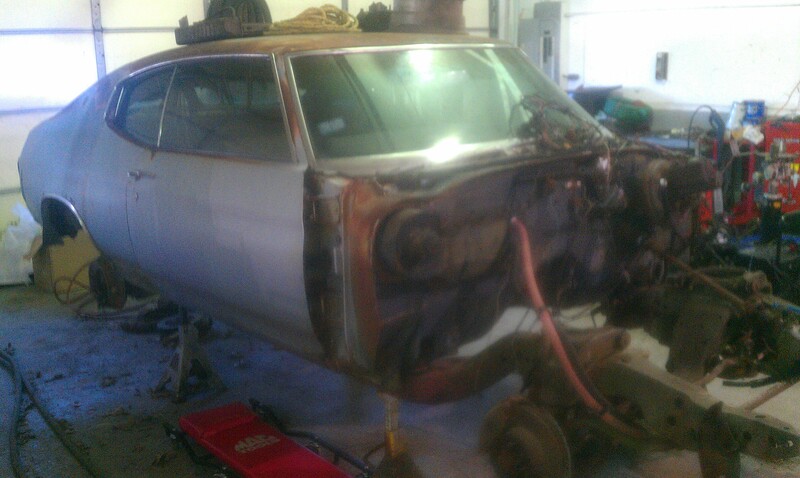 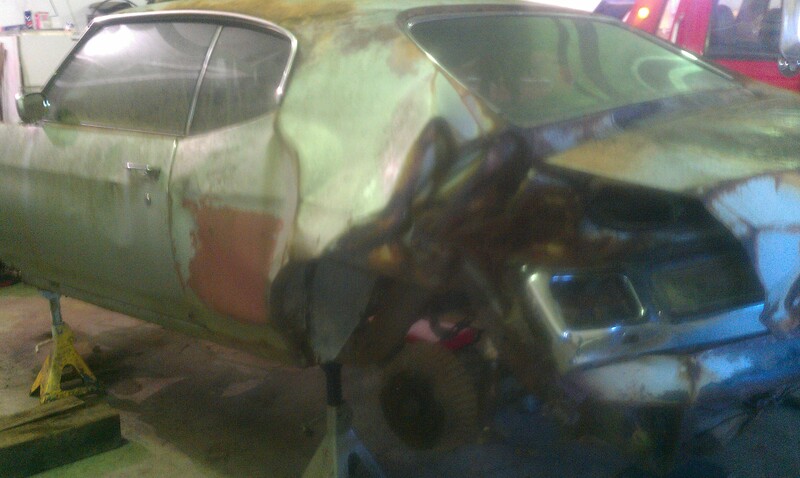 By 2011, this tired Chevelle was ready to change ownership once more. 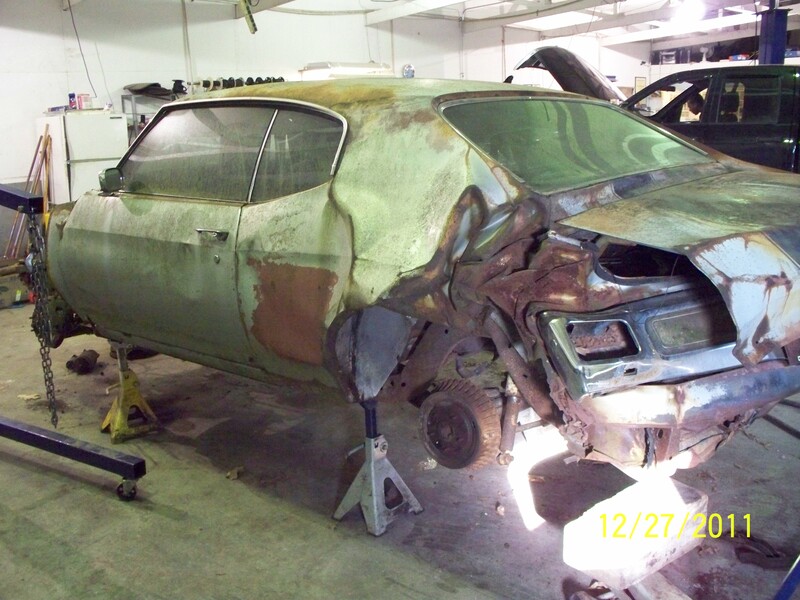 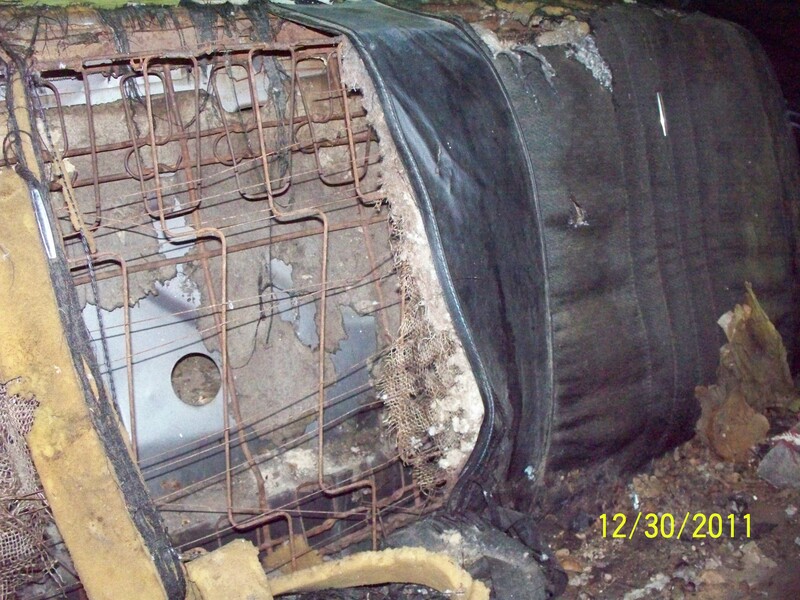 After a failed deal with a local body shop, a mutual friend of the then-current owner and the next would broker a deal between the two. 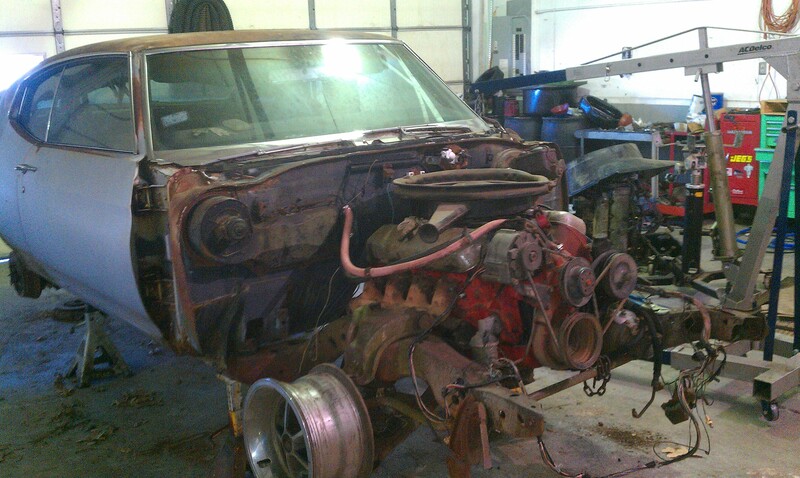 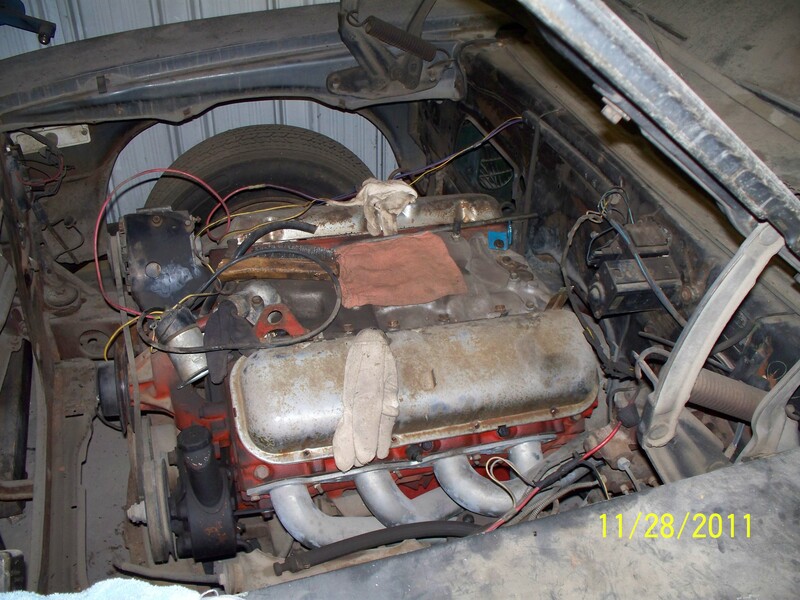 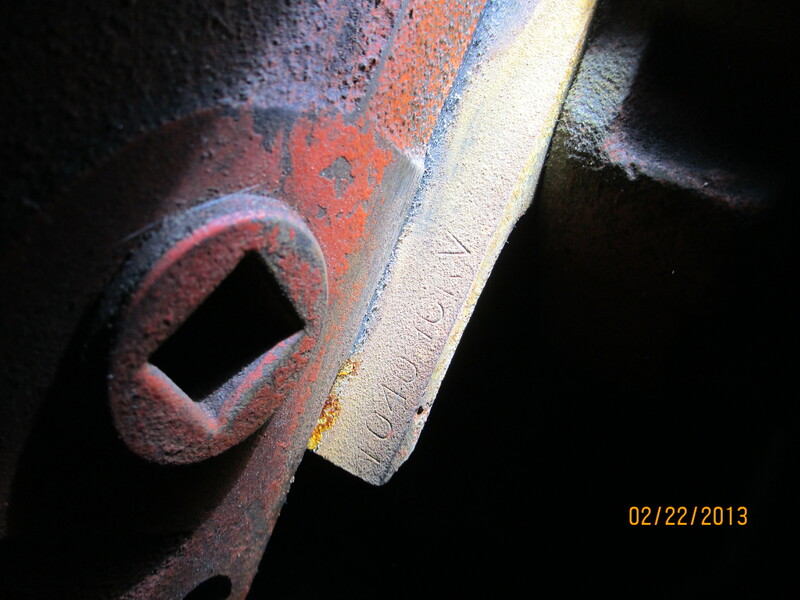 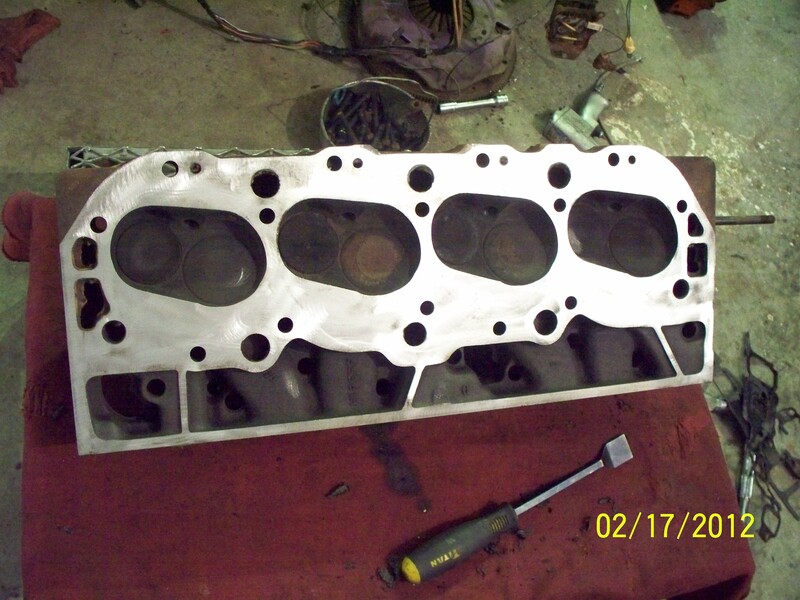 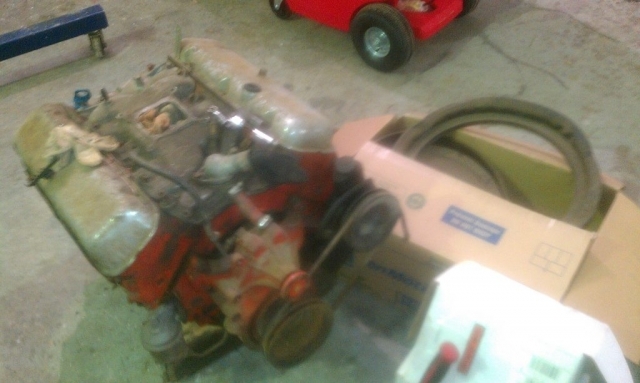 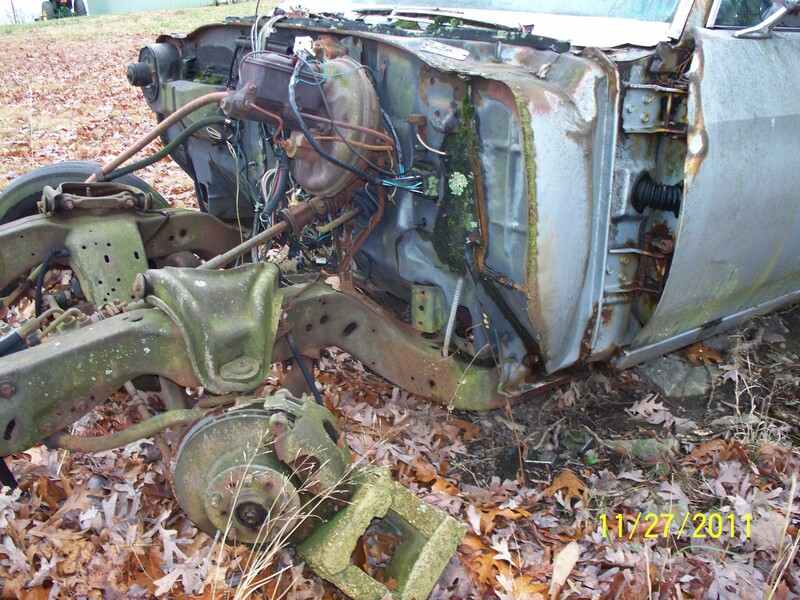 As part of the exchange, many of the original parts that were taken off the car were salvaged, and so was the original LS6 motor reunited with its chassis. 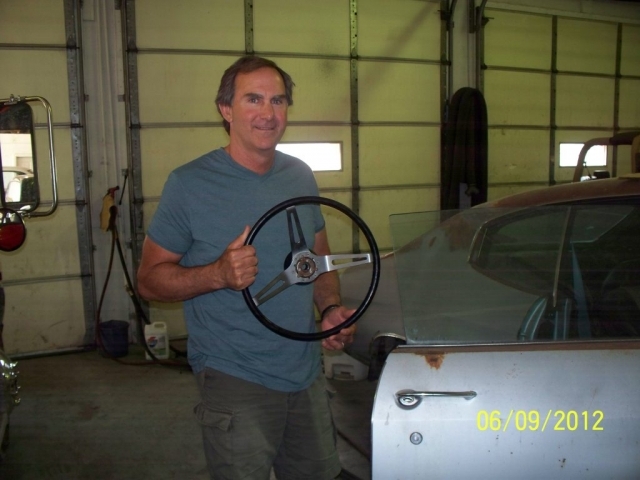 As an added bonus, the original sport steering wheel was also returned from halfway across the country. 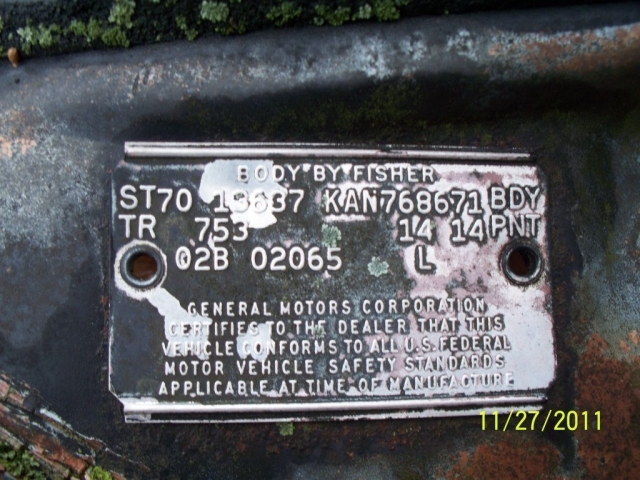 Around this point in time, the car was registered with the International Chevelle LS6 Registry, adding to its character. 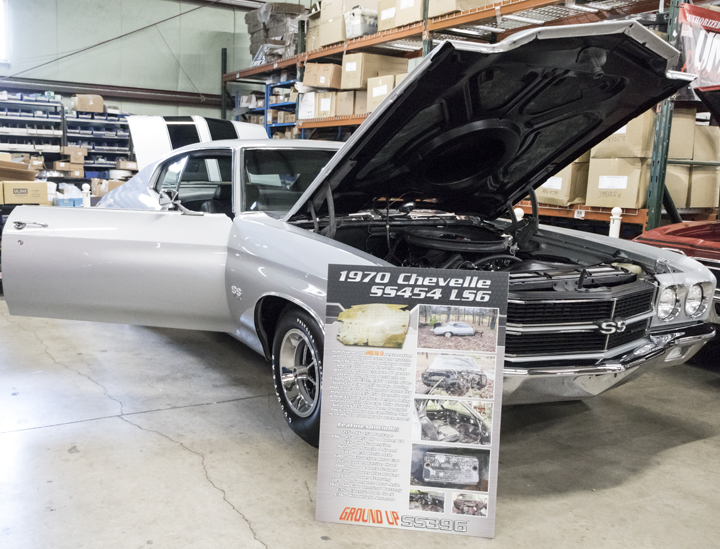 The Chevelle eventually found its way into Ground Up’s hands in 2013, where it would finally get the second chance it deserved with a full frame-off restoration using the finest parts In the Ground Up catalog. 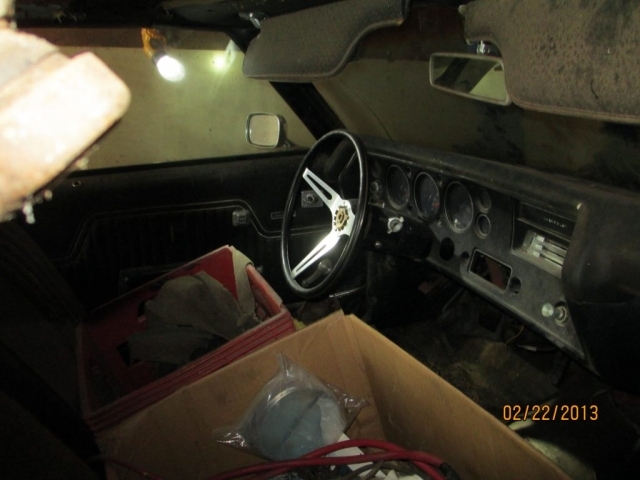 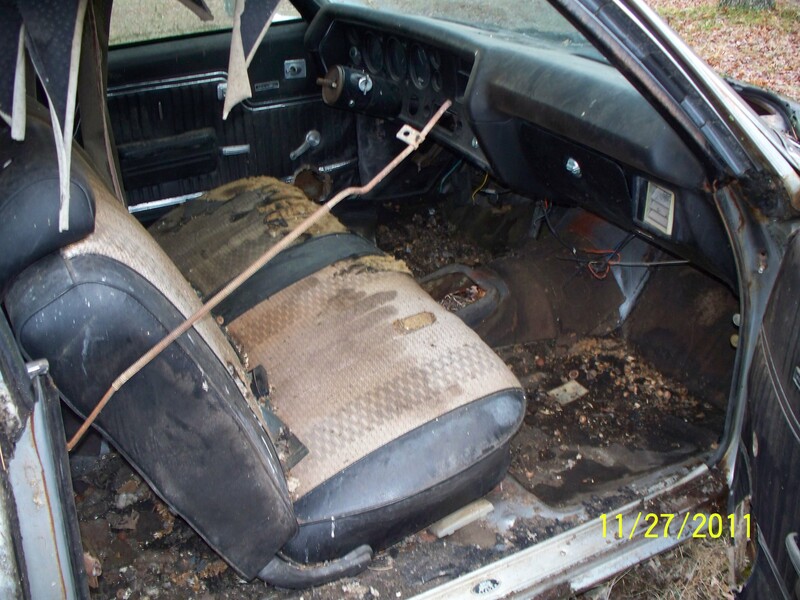 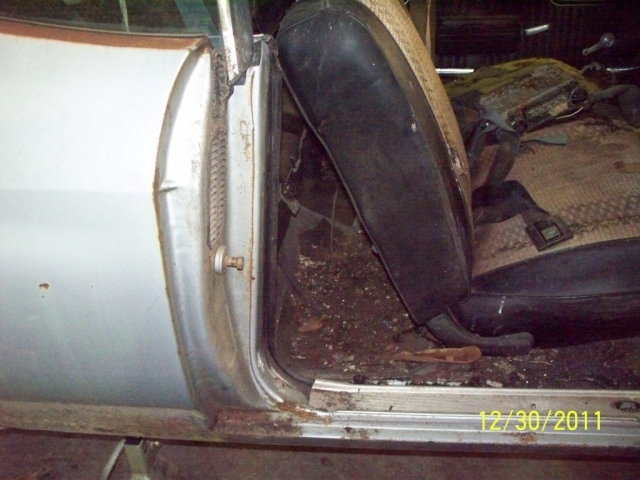 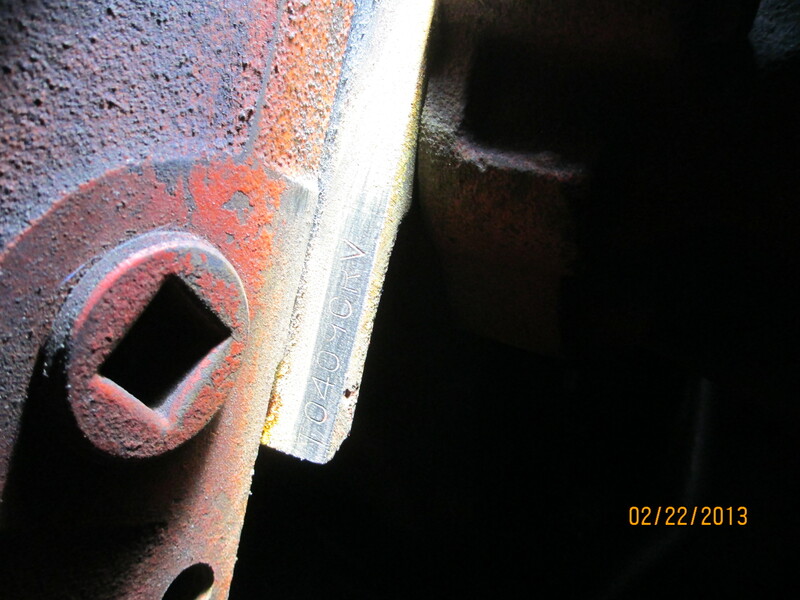 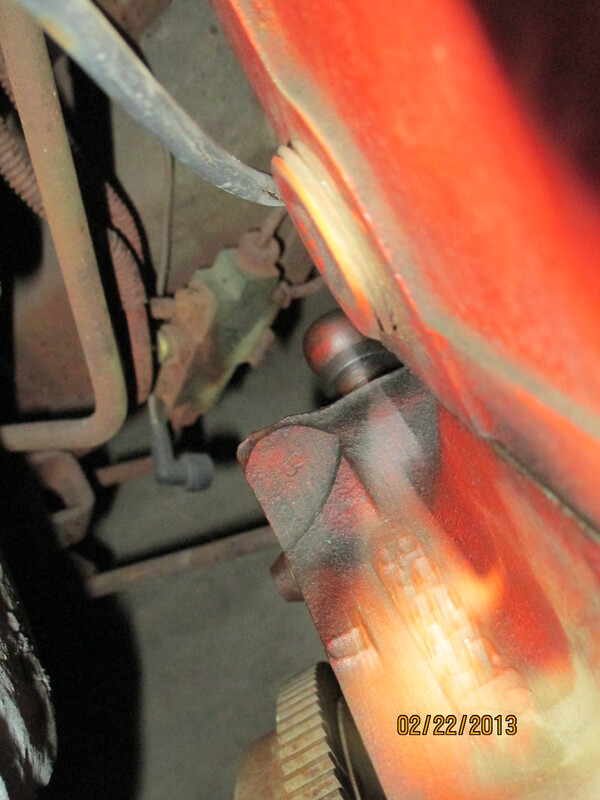 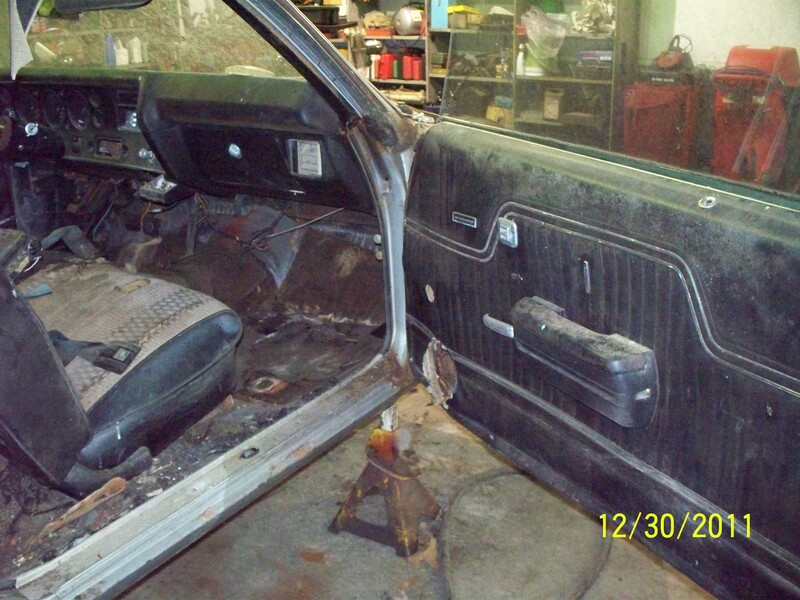 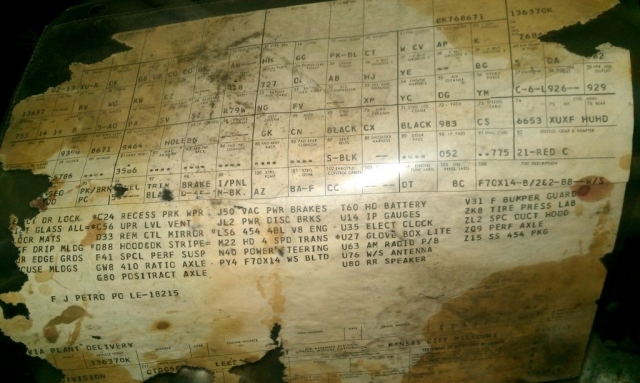 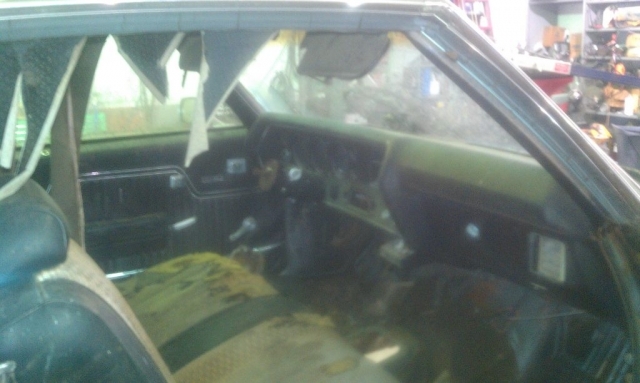 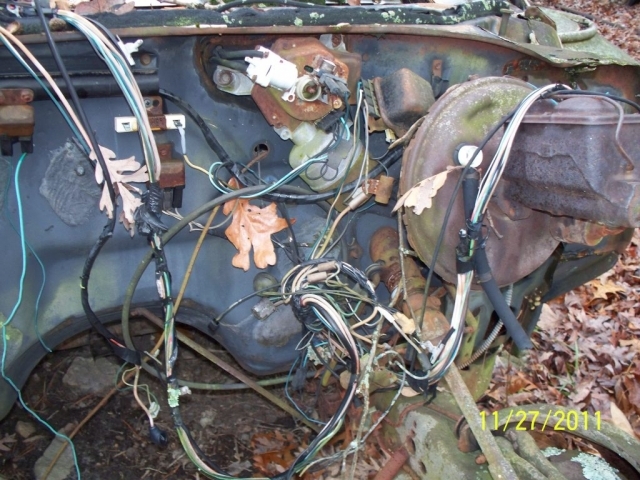 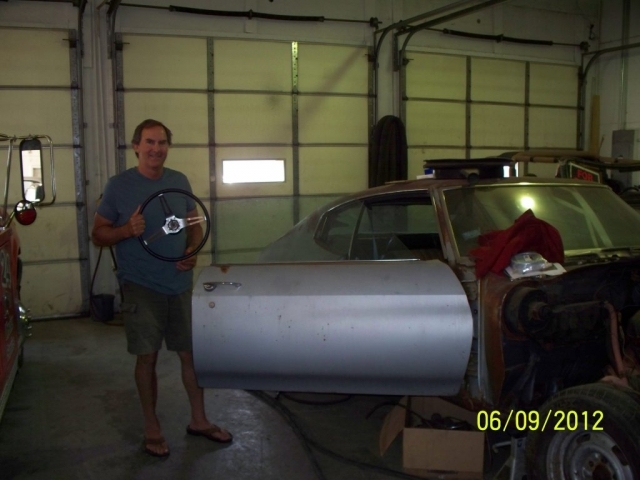 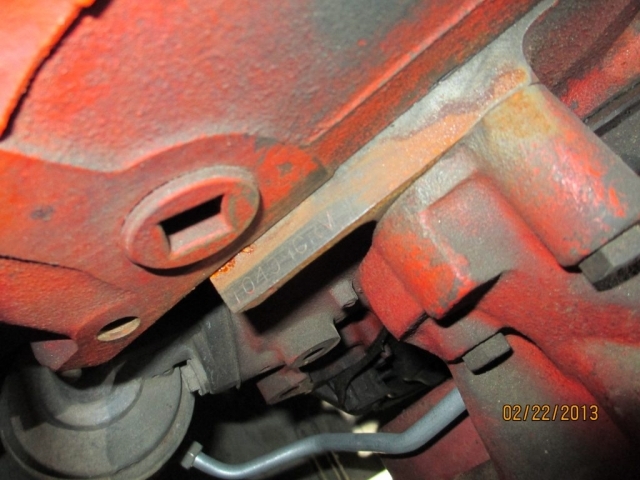 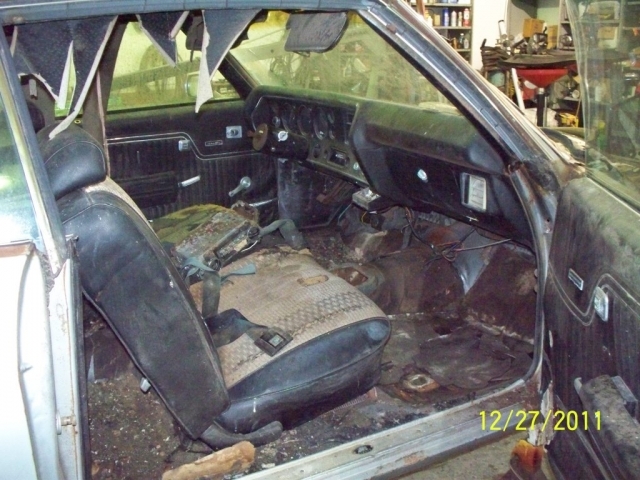 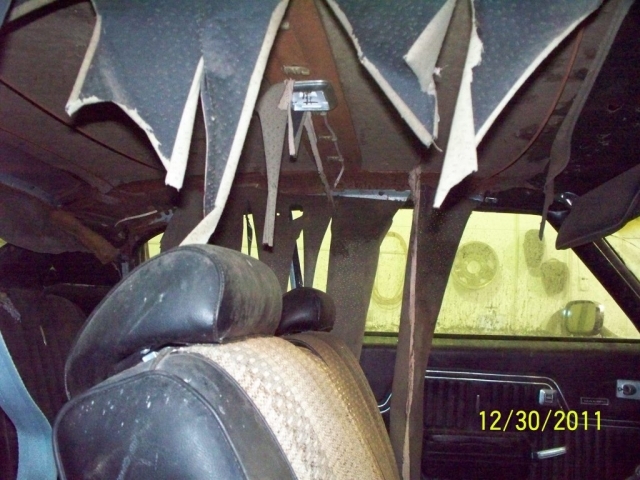 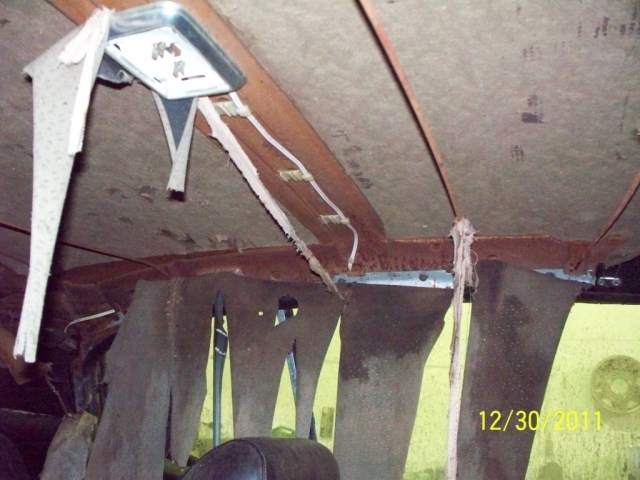 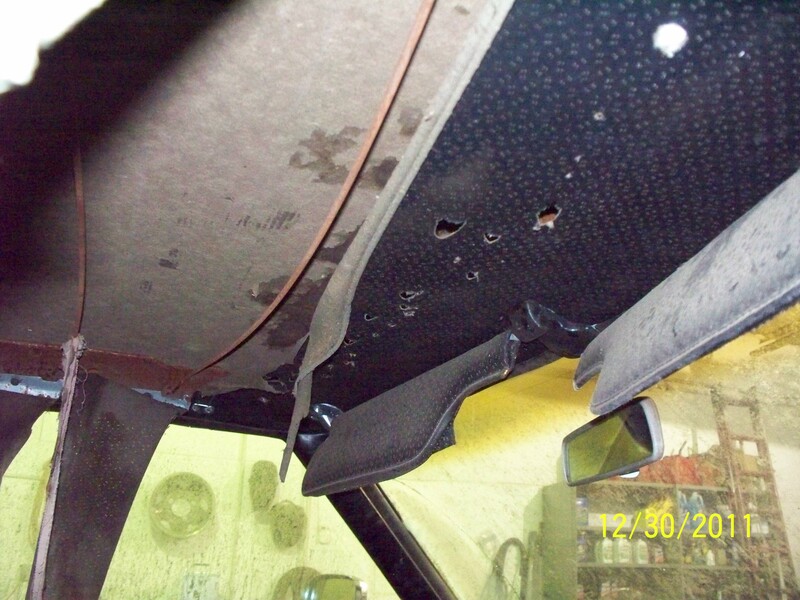 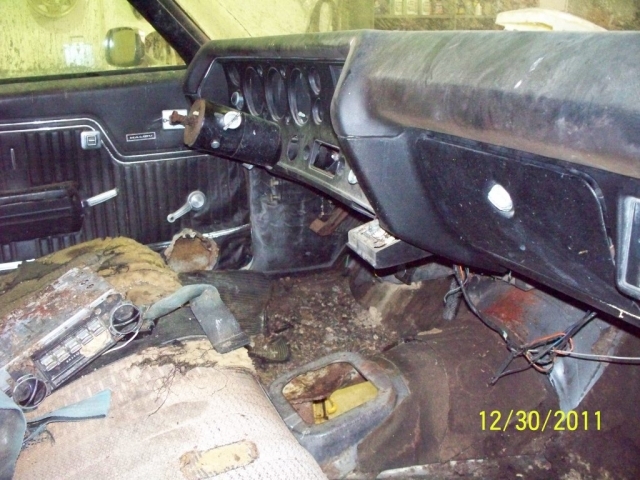 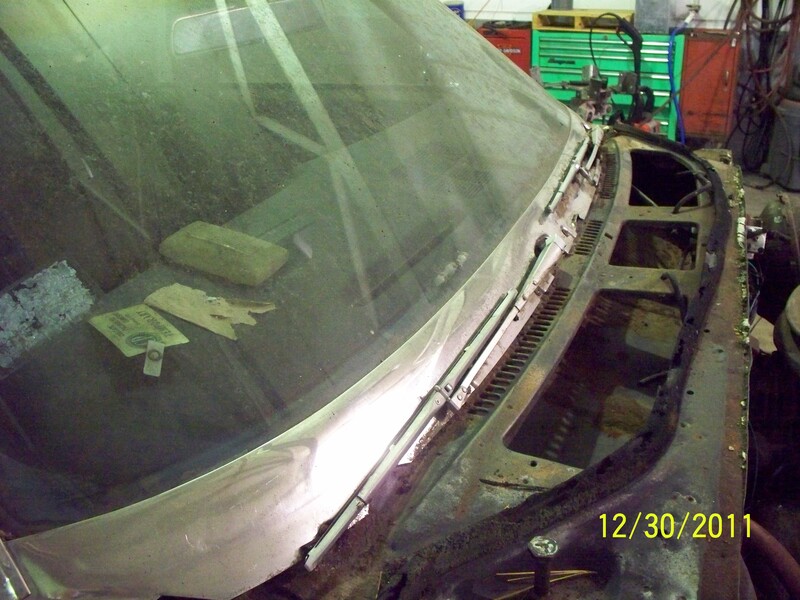 The previous owners were fortunate enough to have found and preserved the original build sheet under the rear seat, which revealed many of the equipment options this Chevelle was ordered with. Of course, no Z15 SS 454 would be complete without the special performance suspension, 4:10 ratio axle, positraction rear end or heavy duty 4 speed. 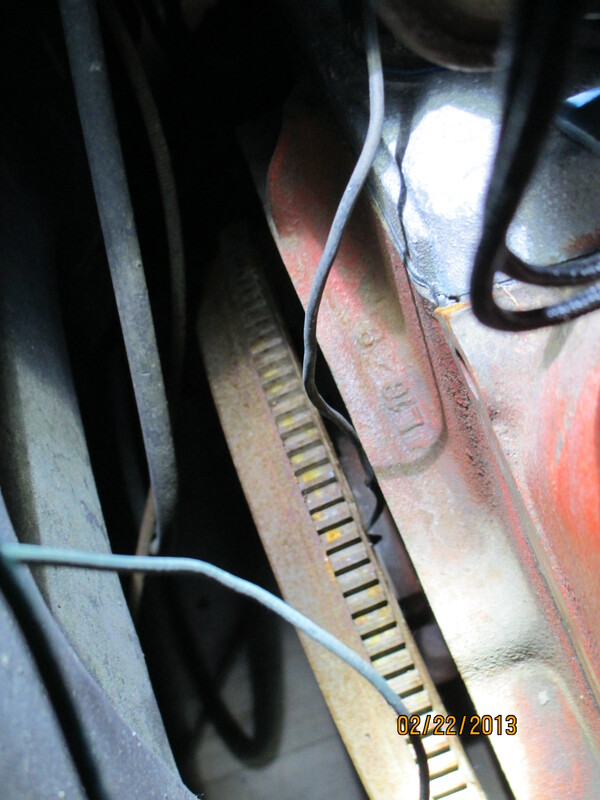 It checks all the right boxes, such as F41, GW8, G80 and M22 among others. 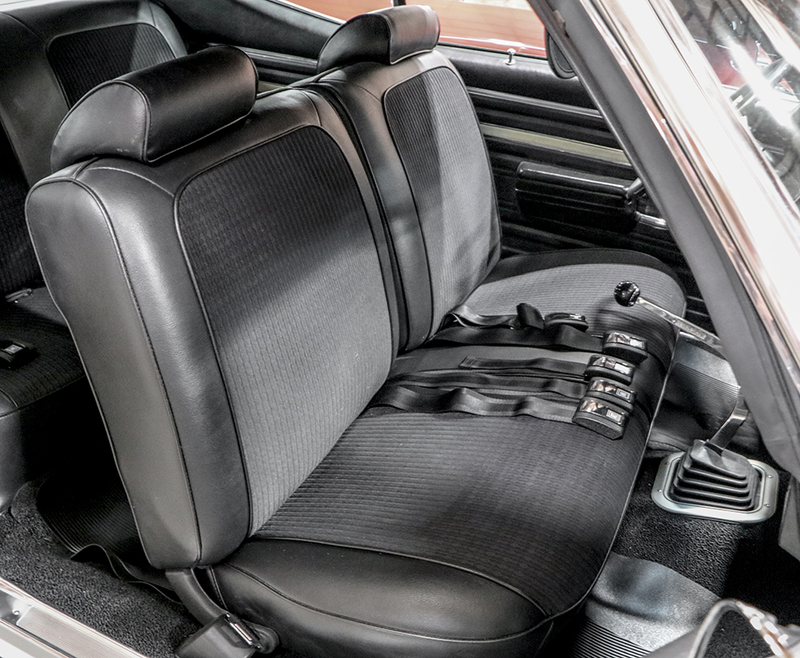 One unique choice of equipment on this LS6 was to keep the front bench seat rather than add buckets and a console. 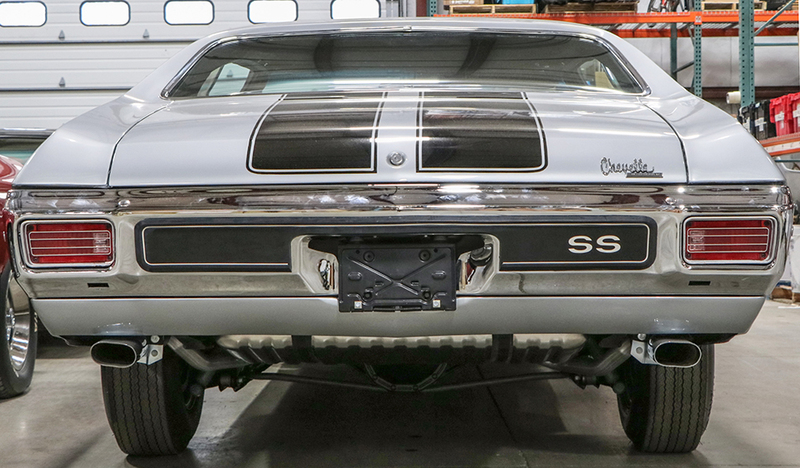 At long last, this rare Chevelle was given the opportunity to make heads turn once again, wearing a fresh coat of Cortez Silver paint and brand new SS stripes, along with the thorough frame-off restoration, this Chevelle really stands out amongst the crowd. This is no run of the mill tribute car, this is the Real Deal LS6.